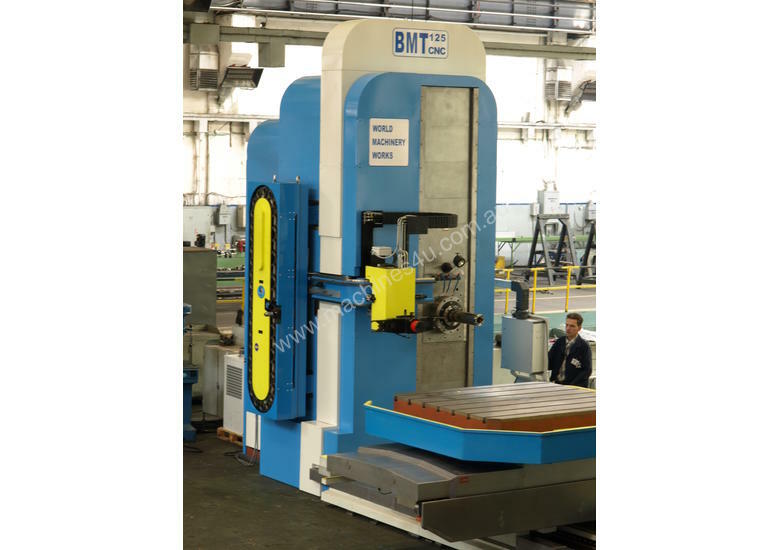 New WMW High Quality European CNC Horizontal Borers offer a wide range of capacities and features to suit the most demanding applications. 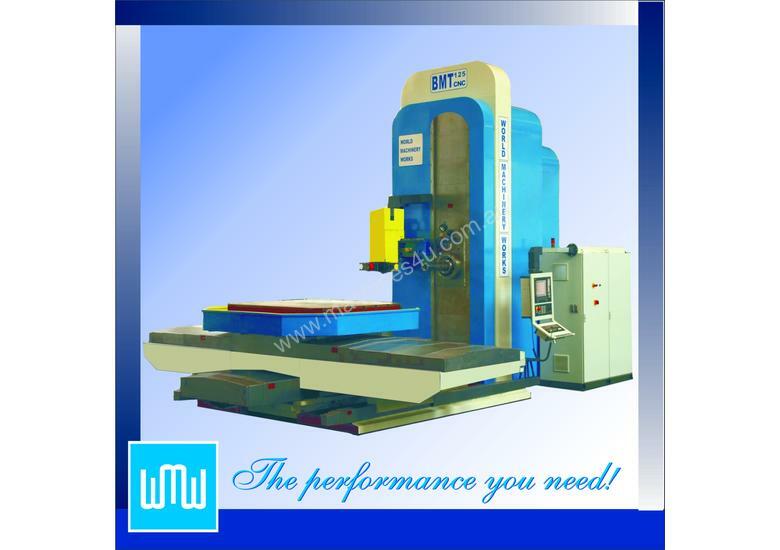 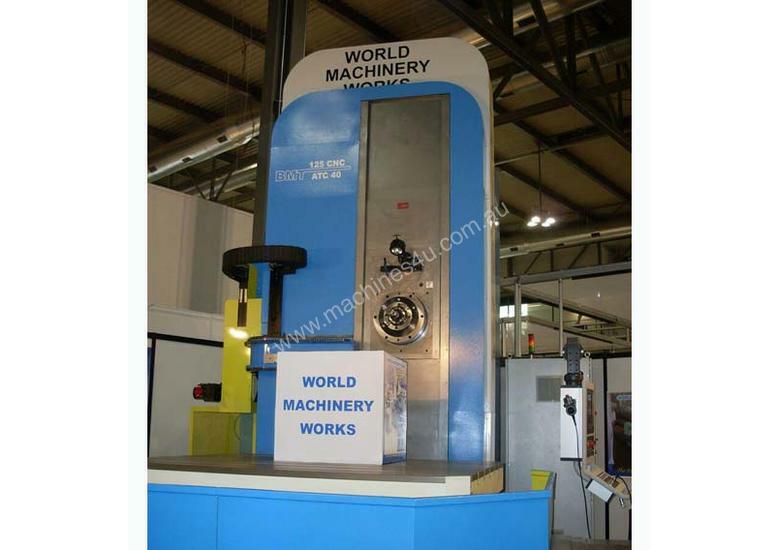 The new design WMW model BMT 125 CNC - ND is a boring and milling machine with horizontal spindle, fixed column and rotary moving table designed for machining housing, small and mid size work pieces for boring, milling, drilling and tapping operations. 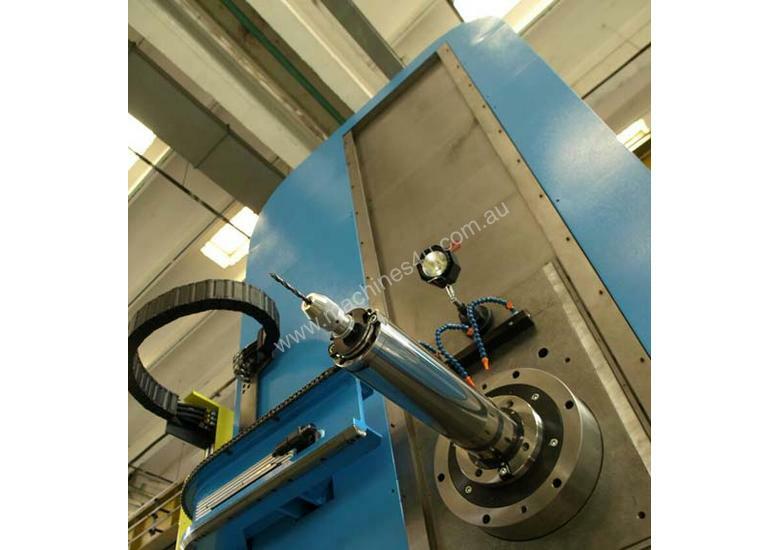 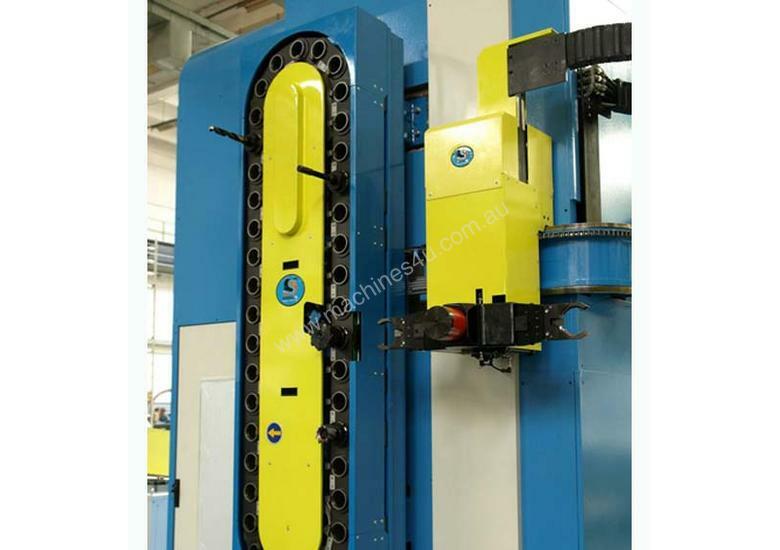 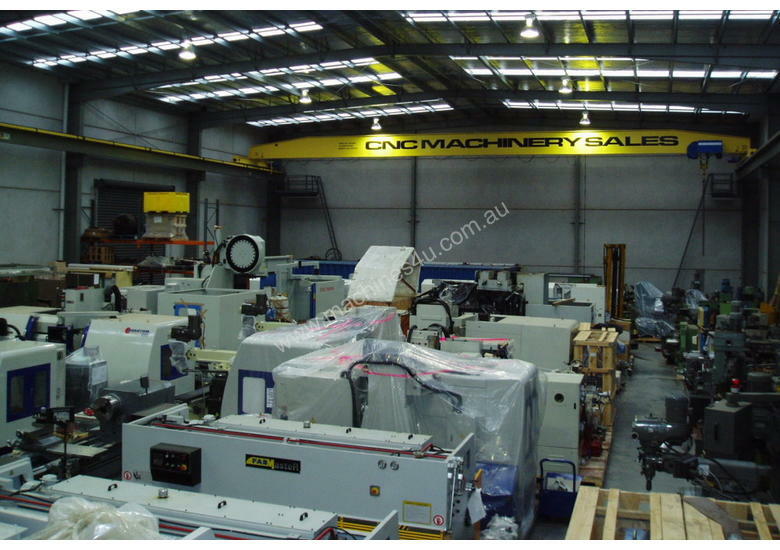 Its technical features and design solutions along with the high rigidity of the structure parts comply with the most demanding requirements of productivity and accuracy. 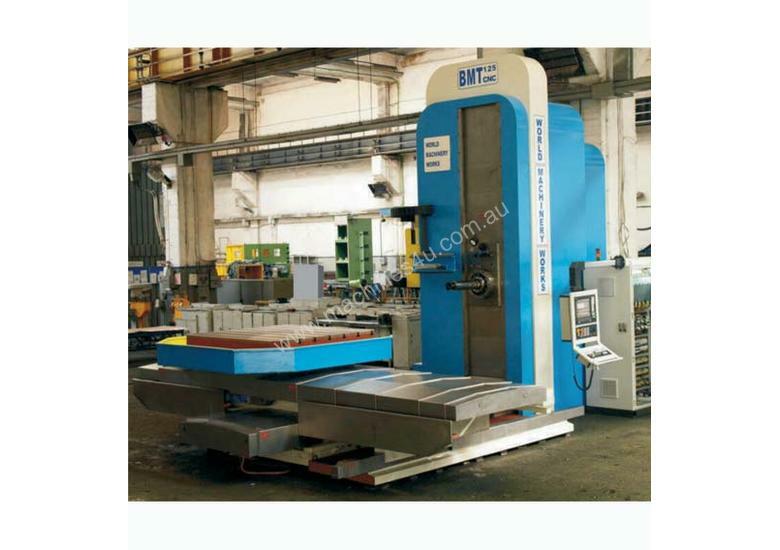 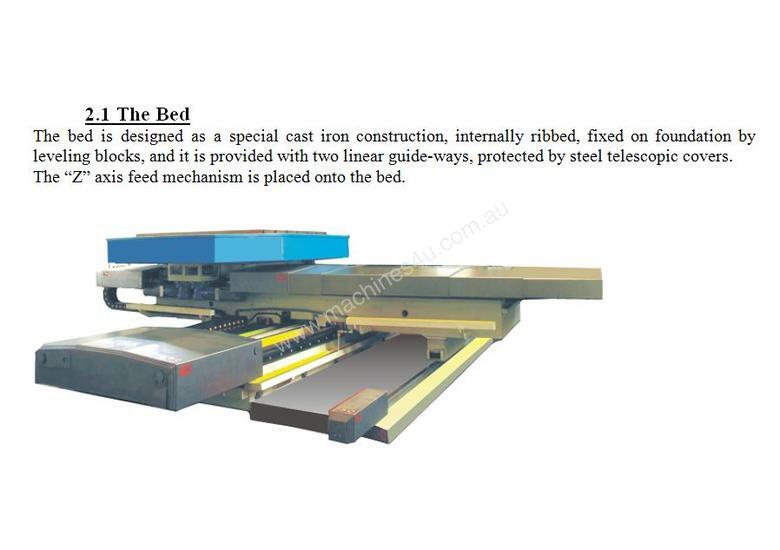 This version includes several new design concepts and improvements such as linear guideways on all axes, Master-Slave driving system for table rotation, state-of-the-art numerical control and drives (Sinumerik 840 Di si and SINAMICS S 120 respectively) that render the machine more efficient and more accurate, making it a valuable aqcuisition for any machining shop.